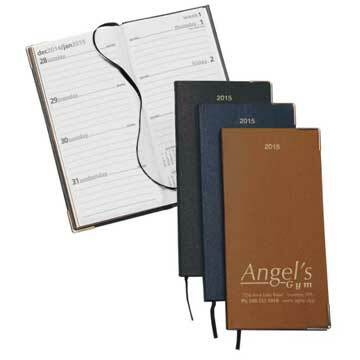 Life is busy...keep organized with custom calendar planners. 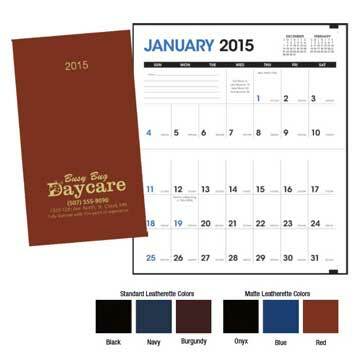 Available in weekly, monthly or pocket options, these calendars are a must to keep your busy schedule straight. 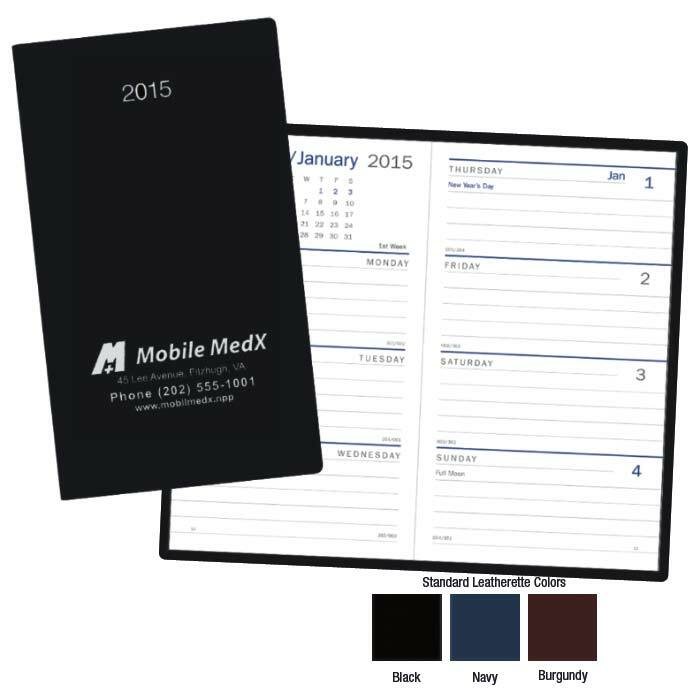 Many styles to choose from that can be customized with your colors, logo and information. 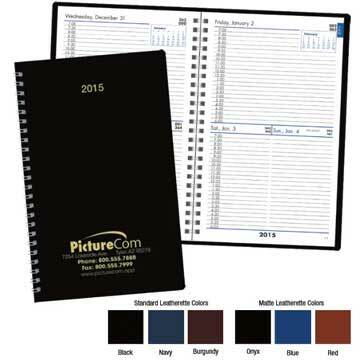 Product Size: Closed: 3-1/2"w x 7"h, Open: 7" x 7"
This planner divides the day into half-hour slots from 7 a.m. to 6 p.m. and includes a long-range planning calendar and phone number directory. 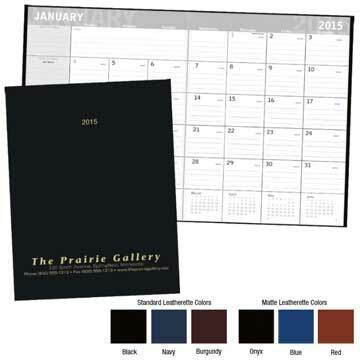 To request a proof or quote on a 2019 Custom Calendar Planner click here. 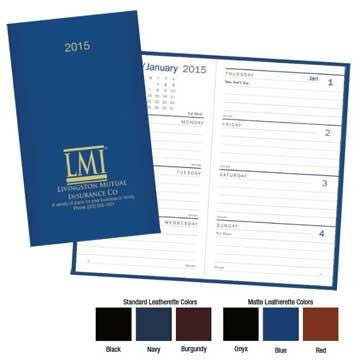 Quantity discounts available.